Like I said earlier, this deserves a post on its own. 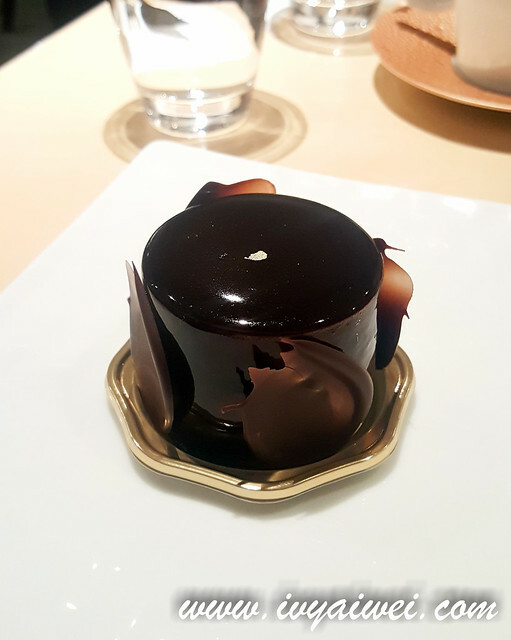 Having a brother who works as a pastry chef, visiting and trying out desserts is always the must do whenever we are in Japan. 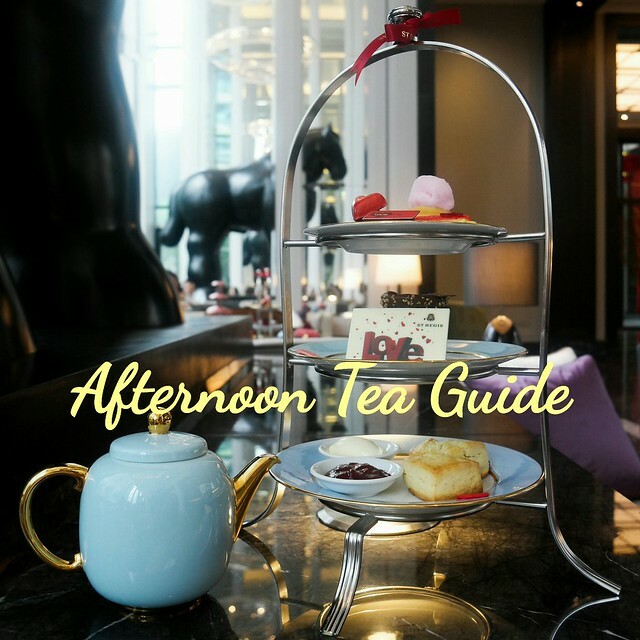 Prior to my trip, I had a list and this was the first place to visit and this one definitely worth the time queuing for the delicate desserts. 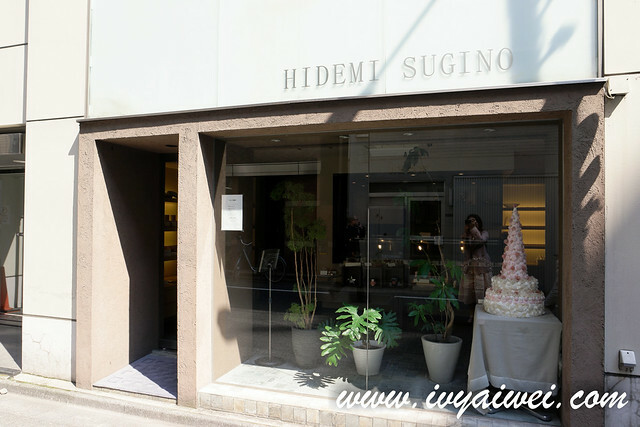 The Japanese pastry chef, Hidemi Sugino is awarded with the title of Asia’s Best Pastry Chef, at the Asia’s 50 Best Restaurants in year 2015; he also won the prestigious La Coupe du Monde de la Patisserie back in 1991, that said to be the World Pastry Cup. 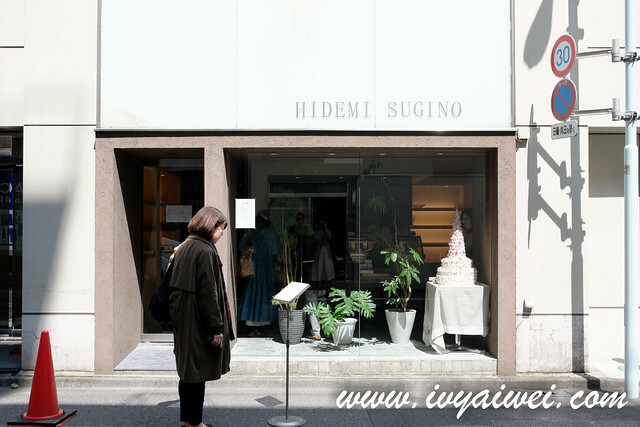 Located in Kyobashi, though hidden in small alley, it is easily located from the station. The queue is pretty crazy every day and his creation sold out very fast. Hence my brother and I decided to make our move over here earlier. The shop opened at 11 am, but there was already queue at 10.15am when I got there!!! We were the third in line. I wonder what time did the first one got it here. The master of mousse cake uses very little amount of gelatine in his creation; resulting a very feathery, soft and delicate fine pastry. Therefore, it is best to sit in and enjoy the perfect moment of these delicate desserts. They too, will only allow certain desserts for takeout. Note that photography is strictly prohibited inside here. Hearsay the staffs are trained to “catch” those who snapshot the desserts. Therefore, do give some respects and not to direct and point your camera at the dessert display. I too, used my ninja skill to capture some photos as below. Photos below didn’t meet my expectation but that’s what I could do best as I was too frighten to snapshot with camera. LOL. One of the most popular and the must order! Also the signature. 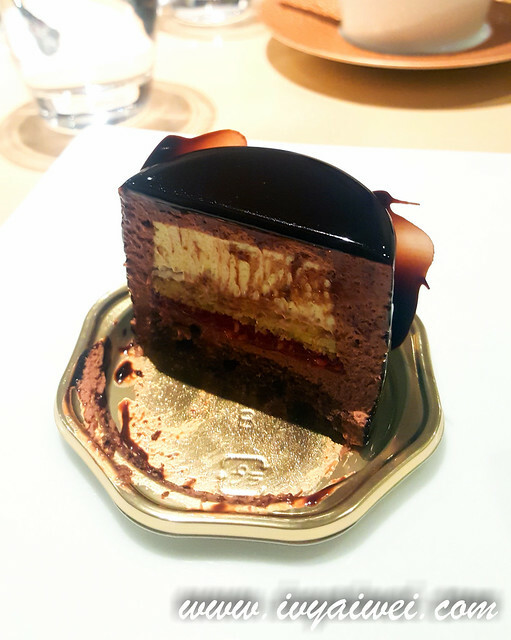 Chocolate sponge base, dark chocolate mousse, raspberry jam, pistachio mousse and sponge, covered with thin layer of chocolate ganache glaze; beautified with the touch of gold leaf and four chocolate petals on the side. So good!!! It is also said there is limited quantity made for this. Must go earlier, never say I never share the tips. 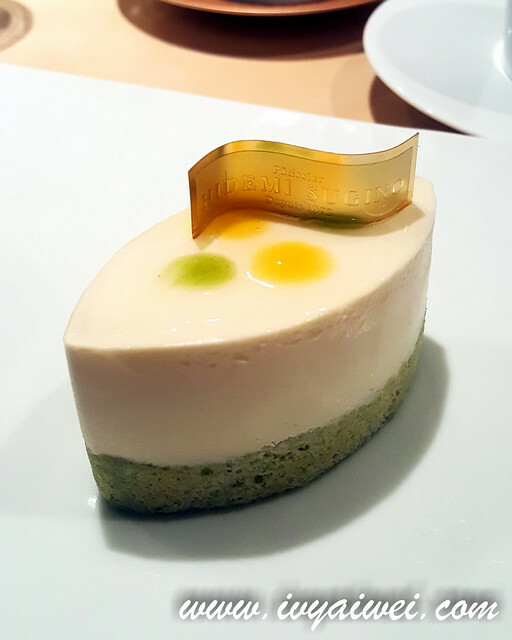 Fromage blanc mousse with mango mousse center and mango gelée glaze and basil sponge base. Very interesting eh, incorporated basil into the cake. 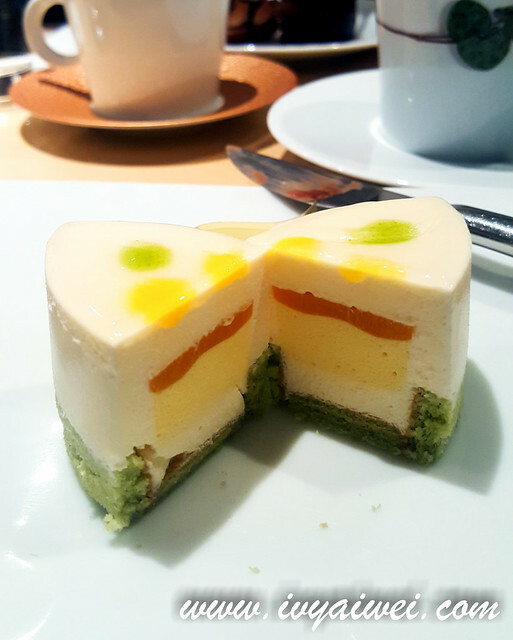 The creaminess and softness of the mousse, the lightness and tangy flavours from the mango, an exotic blend. 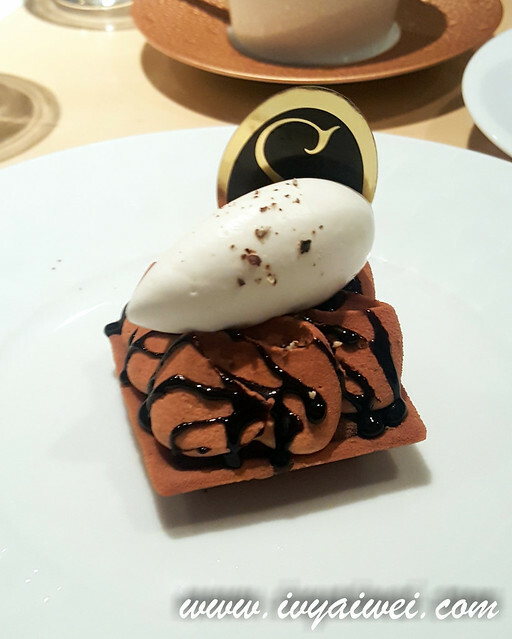 Buttery crunchy tart base that was dosed with chestnut mousse and a perfect scoop of quenelle. Slightly on the sweeter side. We prefer the earlier two. Drinks don’t come affodable here and diner must order a drink each in order to sit in. We had the Earl Grey Tea (¥ 780) and Hot Chocolate (¥ 880) that came with pepper for you to sprinkle in. Only 1 morning and we spent quite a hefty already. LOL.